Changing your duvet is not something you think much about when you’re at college. Then, it was just somethings to crawl under and sleep off whatever activity you have been doing the day or night before. 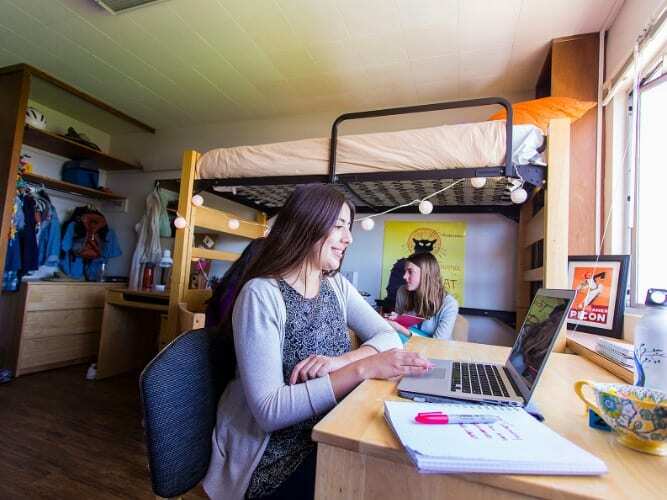 Often a college dorm is just the place you sleep in, but once you leave college, your dorm is substituted for a home. You might not have picked up any tips for making your home hygienic while you were at college, so here are a few tips to keep the bed bugs away. Duvets can become home to many germs over the months, or years, you own them. While changing your sheets regularly will help to keep germs to a minimum, the time will come when your dear old duvet has simply got to go. Often the stuffing in our duvets are the first sign it’s time to throw them out. If you’ve got obvious flat spots, then it isn’t going to be keeping you warm like it’s meant to. Consider changing your duvet every couple of years, but up to every five years if you’ve splashed the cash on a high-quality one. When you move to a new place and are kitting it out make sure you get yourself some new sheets. It will freshen up the bedroom, even if you haven’t gotten around to painting it yet. Your taste is likely to have changed since college so make sure your bedsheets match your taste. Plus, there are only so many times you can wash your sheets before they start to fade. Make sure you light your rooms well. Dark and dingy rooms do not lead to a productive environment so make sure you have as much of the bright stuff around you as possible. This way you’ll enjoy the atmosphere in your apartment much more. Opt for LED lighting to save cash on your energy bills and do your bit for the planet. You should aim to wash your sheets once a week. If you commit to the idea that you’ll be doing that every weekend then you’ll make sure you aren’t rolling around in too many germs each and every night. Try to wash a set as a backup for when you’re too busy to wash a fresh set. If you want to sleep like a champ after college, you’ll need to make sure your mattress is in good condition. Often people who have bad sleeping patterns are sleeping on a substandard mattress or one that has been worn out and is no good. There’s an old saying; get yourself a good pair of shoes and a good bed, because if you aren’t in one, then you’re in the other. A good quality mattress should last you around ten years. Make sure you test out a few mattresses in the store to see which ones suit you best. If you want to make sure you sleep well, then you’ll definitely need some curtains that block out the light. These will help you to stay sleeping for longer as our body clocks respond to light and will wake us up earlier if there is light coming into our bedrooms earlier than we are willing to get up. You should consider investing in a humidifier. This will really have you feeling like a proper adult. The humidifier will help to circulate some much-needed moisture around your home. This can help prevent getting dry skin, as well as keeping your plants alive and helping to boost your immune system. Adding layers to your bedding will make your room appear much more like that of an adult, and will generally improve the aesthetics of a bedroom. It’ll help you ditch the college image and move into the fast lane with the adults. Those were some of the tips we think will help you adult better in the bedroom after you’ve left college. Some of the things you won’t have picked up on while studying, so it’s important to get to grips with a grown up bedroom as soon as possible.